Three sewage plants operate within and release treated sewage into streams of the Peters Creek Watershed. The Bethel Park-South Park Authority outfalls into Piney Fork Run, The Pleasant Hills Authority dumps into Lick Run and The Clairton Authority releases into Peters Creek. These sewage facilities have great potential to impact the water quality of Peters Creek and its tributaries. They are required to monitor the quality of their effluent for certain parameters and meet standards set by the Pennsylvania Department of Environmental Protection in a NPDES Permit which must be reviewed every x years. 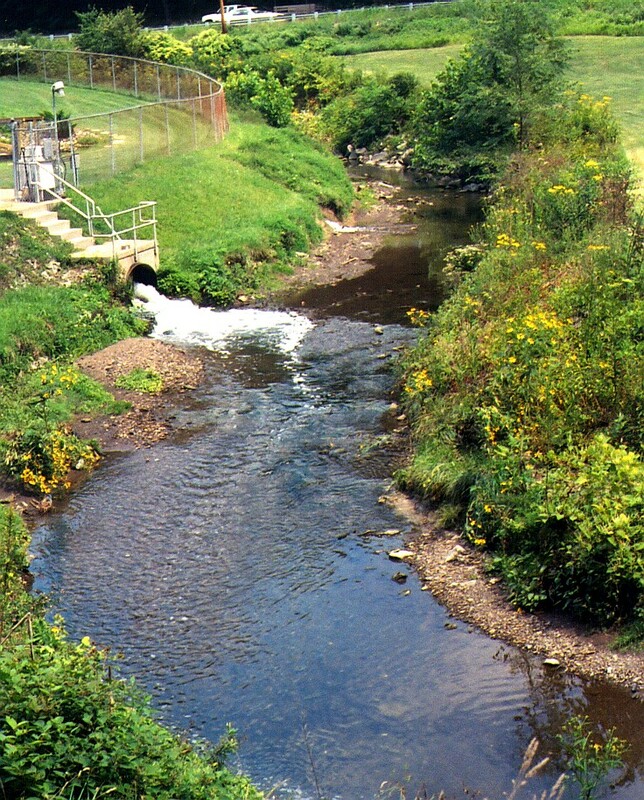 Combined Sewer Overflows(CSO) are an important sewage issue for not just the Peters Creek Watershed but for all of western Pennsylvania. Many sewers are designed to carry not only sanitary waste but stormwater as well. During even moderate rain events these sewers overflow and send raw sewage into the streams of the watershed. This causes the bacterial level within the streams to increase to an unsafe level for human contact. This problem is worse during the summer when stream flow is low. It is difficult to find a stream within the watershed that doesn't have a sewer line along it. The maintenance of these sewers is the responsibility of the individual municipalities in which they are located. Sewer lines which are not maintained correctly can dump raw sewage into the watersheds streams and pose a health risk to neighborhood residents. Poorly maintained sanitary sewers also are frequently infiltrated by rainwater thus increasing the sewage load of the receiving plant. Anyone who spends much time near Peters Creek, Lick Run or Piney Fork Run below a sewage plant is familiar with a distinctive odor associated with treated sewage. Many elements within the waste stream are passed through the sewage plant. These include but are not limited to pharmeceuticals, detergents as well as other nutrients and many other chemicals. All individuals and businesses attached to a sewer system within the watershed contribute to this load when we send wastewater down the drain.